Resume keywords and phrases are critical to include when writing your resume and cover letter. Use the right ones to gets your resume passed the applicant tracking systems and into human hands. Most companies use digital databases, called applicant tracking systems or resume screening systems, to search candidates. The human resource department will search queries based on specific resume keywords and phrases to find candidates they wish to call for a job interview. If the resume you have written doesn’t have those targeted keywords, it won’t get to the human eye. Another place to incorporate keywords without making it evident to the reader is your cover letter. Why Do Companies Use Keyword Searches? Many businesses and organizations have turned to keywords due to the large number of resumes they receive. It is virtually impossible for employers to sift through hundreds of resumes for each job opening. Putting resumes into a database that will search out desired keywords helps managers or recruiters narrow down the candidates to interviews. Approximately 80% of companies are now searching for job-specific keywords as a way to sift through applications. What Types of Words Are Keywords? These keywords are usually nouns. Even though action verbs are still an essential part of your resume, employers also are concerned about what you know in terms of industry skills and knowledge. Words such as: “project management”, “team management”, “personnel training”, “budget development”, “construction management”, “sales programs”, and “horizontal drilling” are all possible keywords depending on your industry and the position. The following keywords are examples of what could be incorporated in the resume, if relevant to your expertise. These are just some of the keywords you can include throughout the resume. The key phrases you will determine will depend on your career background and the position you wish to secure. 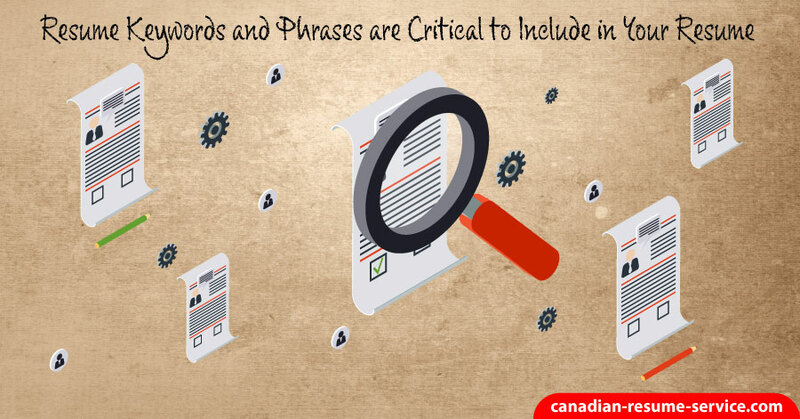 Professional keywords are known as current buzzwords or key phrases in each industry. They are widely used in different sectors to indicate the applicant’s knowledge of his or her profession. When you include keywords in your resume, employers will conclude you know the language of your profession. This will significantly increase your employability and your chances of securing the position for which you are applying. It is even better if you incorporate keywords into your accomplishments. Achievements will show evidence to employers that not only do you have knowledge of these concepts but that you have used these concepts to achieve results in your past jobs. There are lots of options for choosing keywords to use in your resume. Check the job description and related postings for a hint on what the company’s looking for in a new hire. They will often list several industry keywords in their job descriptions as they describe their ideal candidate. Look to your personal and professional experience for clues. Pay attention to professional development initiatives you recently completed, such as workshops, seminars, and courses on new job methods. Use keywords associated with your goals for your professional career, industry specialty, and other activities that will help your resume stand out. Our goal is to help you succeed in your professional career, and that writing a keyword-rich, accomplishment-based resume and cover letter that will get you noticed. Review our resume writing services.